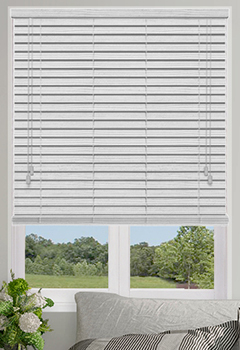 Wooden blinds are the classic choice for almost any decor, offering a clean and classic look to your home. 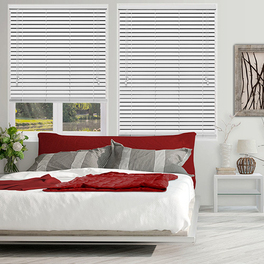 Discover exciting design solutions for any decorating need or budget with our extensive range of custom made wooden blind collections. 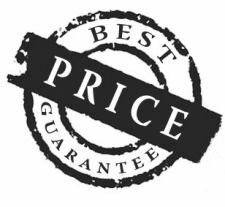 Each collection offers its own unique style of design with prices to suit every budget. 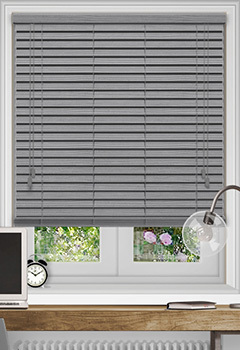 At Blinds4UK we only use reputable UK suppliers, so you can be assured only quality natural made timbers & faux wood materials are used to meet the standards we set. 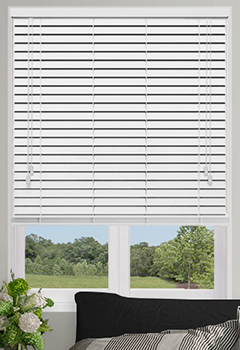 Wood slats are available in a variety of shades varying from light timbers to medium and onto dark stained woods. Choice of slat sizes ranging from 25mm, 35mm, 50mm up to 65mm are available with many collections offereing ladder tape options too.. We offer a free sample service on all our wood slats, so you can try before any choice made to buy. Durable Faux woods that can withstand moisture and humidity making them ideal for environments such as bathrooms & kitchens. 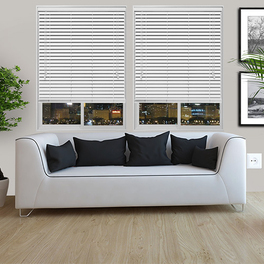 These woods are Flame Retardantand available in slats widths of 38mm, 50mm or 63mm and manufactured with colour coordinating control cords and acorns and non stained slat ends. 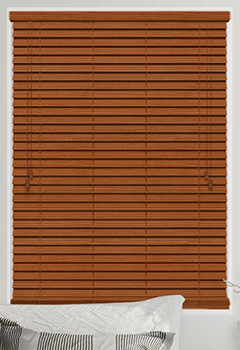 Waterproof Faux Wood Expressions, offering the look of real wood blinds at low prices. 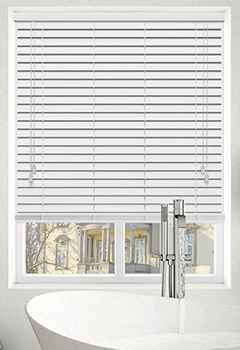 Perfect choice for a shower room with blinds made up to 260cm wide. Premium UK Cool Neutrals collection is from our premier range. 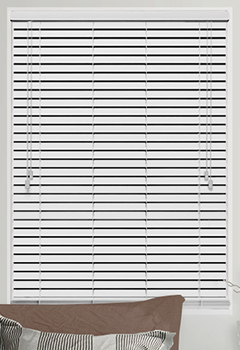 The slats are carefully selected in our UK factory then made to order. 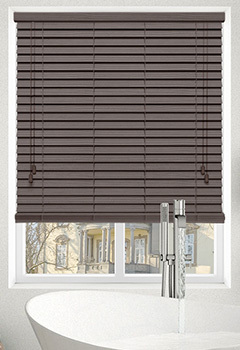 Quality wooden blinds at the right price. Premium UK Warm & Natural collection offers a cosy feel of stained colours including walnut, Dark Cherry, Maple & Oak. 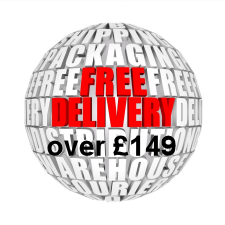 Quality 100% UK made wooden blinds delivered direct. 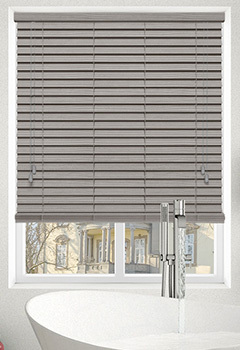 Waterproof Faux Wood Impressions, contemporary faux wood blinds available in 50mm slat with tape options.